Our large family rooms here at Warkworth Guest House are suitable for families of four including two adults and two children. One of our family rooms has a king size bed and one single bed, our other room has one king size bed and two singles and our third family room holds a king size bed and a double bed. These rooms are perfect for families or even a group of friends wanting to stay together. We offer a great space for relaxing and enjoying your surroundings. 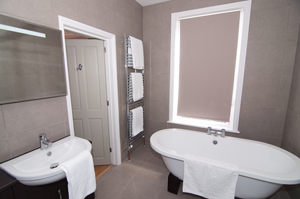 Each room comes with tea and coffee making facilities, flat screen TV with Freeview, four bedside tables and lamps, free unlimited internet access and a high pressured shower in the en-suite bathroom. 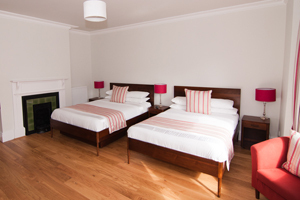 Our prices start from £140 per night for each room.